JERUSALEM -- Israelis have come to a mournful, two-minute standstill as sirens pierced the air in remembrance of the 6 million Jews killed in the Nazi Holocaust during World War II. As the siren sounded, cars and buses pulled over on the side of highways and roads. Motorists stepped out of their cars and pedestrians stopped in their tracks, bowing their heads as they remembered those who perished. On Wednesday, Prime Minister Benjamin Netanyahu compared Iran to the Nazis and warned the Islamic Republic must be prevented from obtaining nuclear weapons. 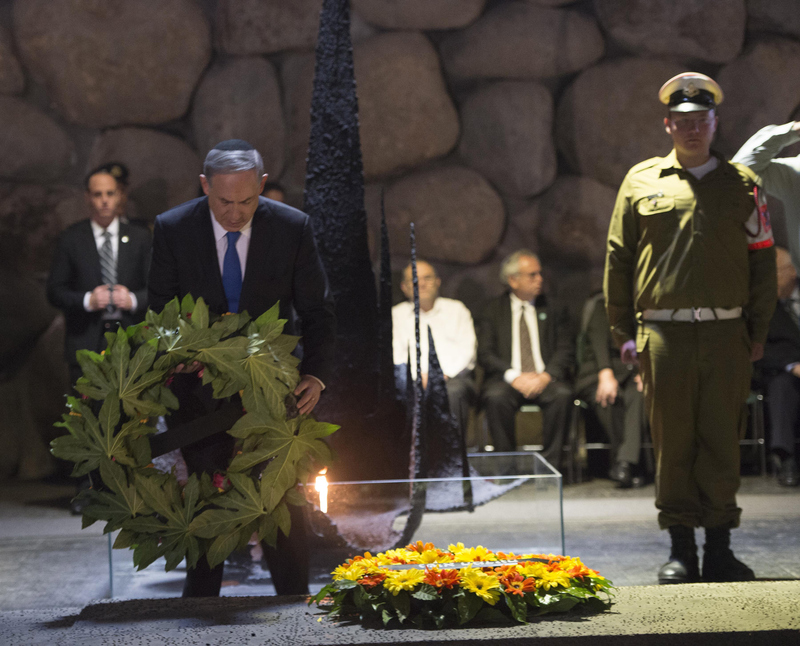 Netanyahu linked the Nazi genocide of six million Jews in World War II to Iran's contested nuclear program and some of the Islamic Republic leaders' repeated references to the destruction of Israel. "As the Nazis strived to trample civilization and replace it with a 'master race' while destroying the Jewish people, so is Iran striving to take over the region and expand further with a declared goal of destroying the Jewish state," Netanyahu said.